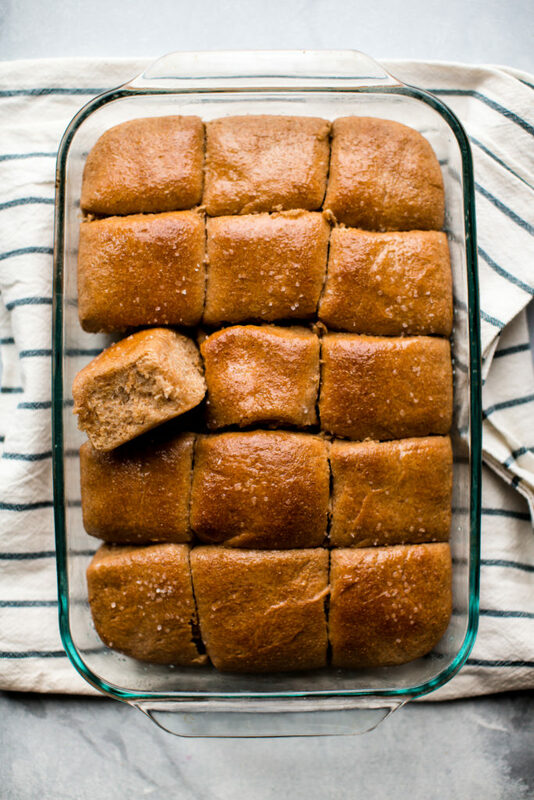 Baking a batch of whole wheat rolls that’s both soft and flavorful feels like winning the lottery. Or at least winning dinner time. But what normally results in hockey puck status can finally grace our dinner tables proudly. And if you don’t have a dining table, but have had the dream of purchasing one for events like dinner parties or just meals in general, a site like furniture in fashion would provide you with high quality and modern products to complete the look of your dining room. Everyone would be able to enjoy what I’ve made. 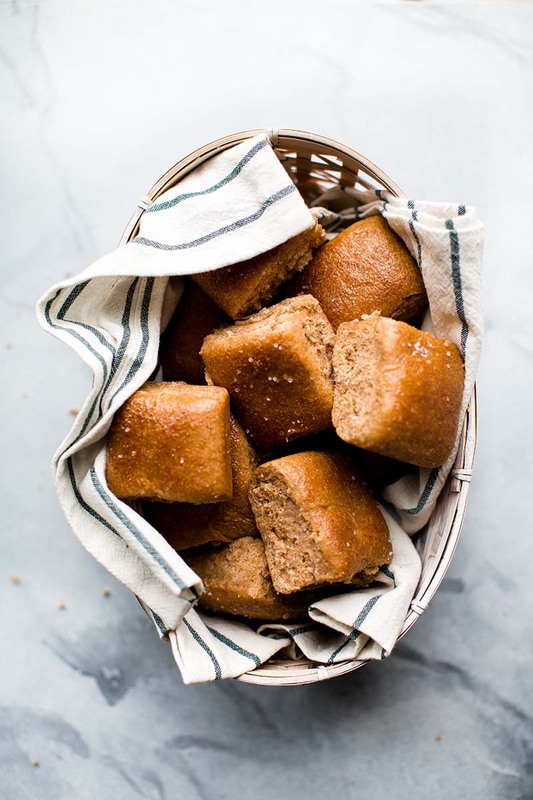 These honey whole wheat dinner rolls are nutty, a bit sweet, and have a wonderfully soft and hearty texture. 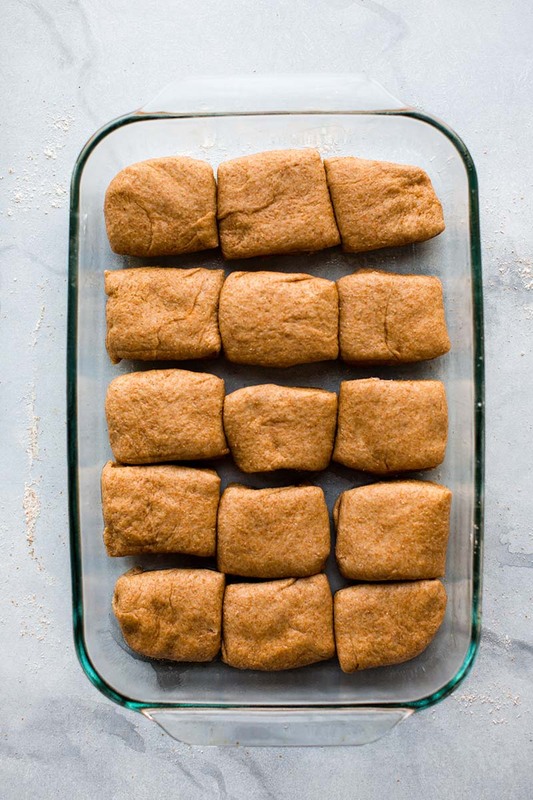 And unlike “whole wheat rolls” with refined flour hiding in them, this recipe is 100% whole wheat! The magic in this recipe comes from Red Star Platinum Superior Baking Yeast. This is an instant yeast and my preferred yeast for any and all bread baking. I’m a fangirl for RSY and use it exclusively in my kitchen because it’s always a guarantee! Whole wheat flour is heavier than most other flours. It’s dense and soaks up a ton of liquid, so we need to make sure it’s well hydrated with liquid. 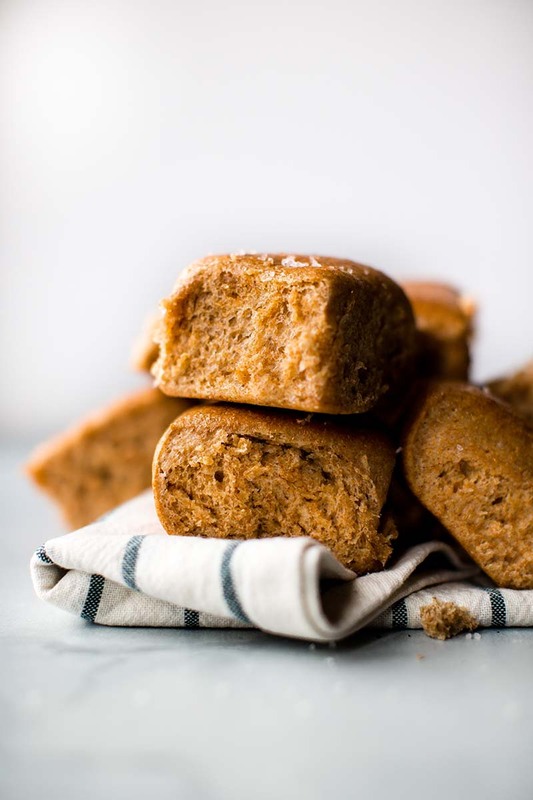 Butter brings lots of flavor, honey complements the nutty whole wheat flour, and a sprinkle of sea salt on top is the perfect finishing touch. 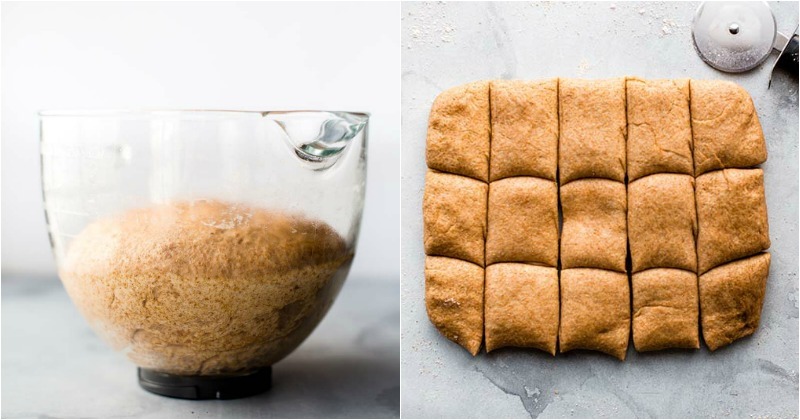 These 100% whole wheat dinner rolls are nutty, a bit sweet, and have a wonderfully soft and hearty texture. Step 1. Make the dough: Pour the warm milk over yeast in the bowl of a stand mixer fitted with a dough hook attachment. Or, if you don't have a stand mixer, a regular large mixing bowl. Whisk together, cover bowl with a towel, and allow to sit for 5 minutes. The mixture will be frothy and foamy after 5 minutes. Step 3. Transfer the dough to a lightly floured surface and knead it with your hands for 1 minute. Form the dough into a ball, coat your mixing bowl with nonstick spray or olive oil, and place the dough back in and turn it over so all sides of the dough are coated with the oil/spray. 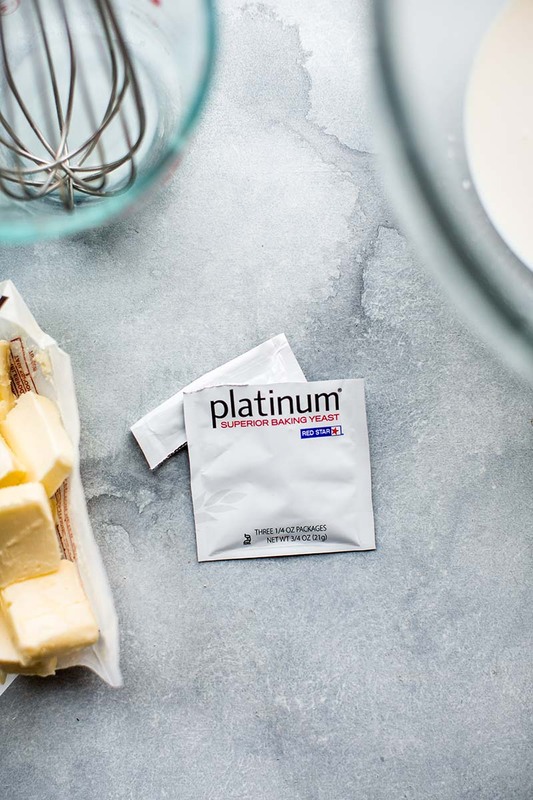 Cover the dough/bowl loosely with plastic wrap, a paper towel, or aluminum foil and let sit in a warm place until doubled in size, about 1½ - 2 hours. Here's what I do: turn the oven on to 200°F (93°C). Once heated to that temperature, turn the oven off. Stick the covered dough inside the oven and allow it to rise in this warm environment. Step 4. Grease the bottom and sides of a 9x13-inch baking dish. Set aside. Step 5. Shape the rolls: Punch the dough down to release any air bubbles and turn it out onto a lightly floured work surface. Using floured hands, stretch the dough into a 9x13-inch rectangle (doesn't need to be exact, it can be a little smaller). Use a pizza cutter and cut into 15 rolls. See photo above for a visual. Round out the corners of the rolls since they stretched a bit as you cut them. Arrange in prepared pan. Loosely cover the rolls and allow to rise in a warm environment again until puffy and doubled in size, about 1 hour. Step 6. Bake the rolls: Preheat the oven to 375°F (191°C). Bake rolls for about 25 minutes or until they are golden brown. About halfway through the bake time, I like to cover the rolls loosely with aluminum foil so the tops don't brown too much. Remove pan from the oven and allow to cool on a wire rack for 5 minutes. Step 7. Top the rolls: Meanwhile, mix the melted butter and honey together. Brush over warm rolls. Sprinkle with sea salt. Serve warm. Step 8. Cover any leftover rolls and store at room temperature for a few days or in the refrigerator for up to 1 week. You can also freeze for up to 3 months, then thaw on the counter or overnight in the refrigerator. Lower fat milk can be substituted, but the rolls won't taste as soft. I strongly suggest whole milk. Make ahead tip: After dough has risen two hours in step 3, punch down the dough inside the mixing bowl and cover the bowl tightly with plastic wrap. Refrigerate overnight or for up to 2 days, then remove from the refrigerator and continue with step 4. Don't leave off that honey butter/sea salt topping. The rolls will be lacking a little flavor without it. I prefer spreading the honey butter on the rolls after they bake as opposed to before they bake. Brushing butter on top of the delicate, airy unbaked roll weighs them down and encourages them to deflate. Best to spread on the honey butter right after baking. Baking enthusiast Sally McKenney Quinn is the blogger and photographer behind Sally’s Baking Addiction, as well as the author of best-selling cookbooks Sally’s Baking Addiction and Sally’s Candy Addiction. The kitchen is where her creative juices flow and she enjoys sharing recipes with her millions of fans around the world. When Sally isn’t in the kitchen or behind the camera, she enjoys practicing yoga, running off all those cookies, and hiking with her husband, Kevin, and their dog, Jude.